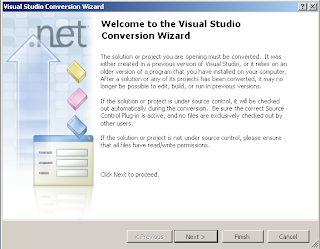 On one of the ASP.Net project, we were using Visual Studio 2010 IDE and MSBuild, to compile and build the application. Pretty standard setup for a web project right?. On developer machine all worked very smoothly, since each developer had Visual Studio 2010 installed locally on their machines. We setup a continuous integration (CI) server Jenkins (formally Hudson) for this project. 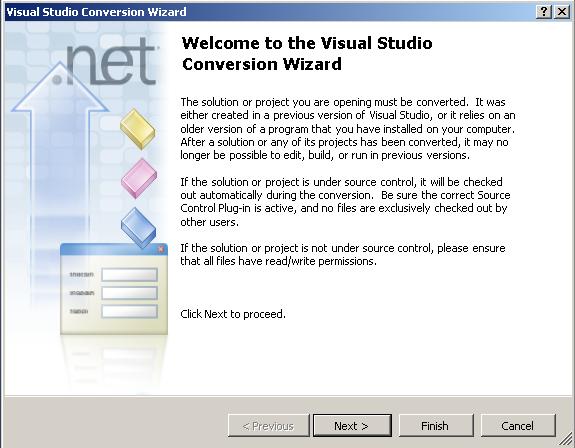 Naturally, we didn't wanted to install Visual Studio 2010 on the CI server. But we still wanted to build our app on the CI server. Hence, we installed Microsoft Windows SDK 7.1 and all its components on the CI server. After installing the SDK, we were able to build all projects except the web project on the CI server. Obviously, since the Visual Studio 2010 was not installed on the CI server, the path mentioned in the error didn't exist and that's why the web project was not able to build. Indeed the web csproj file had an import statement, which added the reference to "Microsoft.WebApplication.targets". But I was not sure why this reference was needed in the first place. I removed the reference of "Microsoft.WebApplication.targets" from the web csproj file and tried building the application using MSBuild. To my surprise, the app build fine, it ran all the tests without any issue. My confidence grew a little, I thought I had the solution. I thought the reference was added to the csproj by Visual Studio 2010, but was never used. I committed the fix, build went green on the CI Server as well! After a few hours, some developers complained that, when they now open up the web project, Visual Studio 2010 prompted for converting the project into a Visual Studio 2010. Certainly, this behaviour was triggered after I removed the import statement from the web csproj file. Its pretty clear now, why the import was required. Visual Studio 2010 identifies that, the project is a Visual Studio 2010 Web project using the import of "Microsoft.WebApplication.targets". Hence, although the build run's fine using MSbuild on developer machine as well as on CI server this is not the right fix! Googling a little I found that, there are only two options to fix this particular issue. It was sad to see that there was no standalone installer that installed the "Microsoft.WebApplication.targets" at the desired location. We had to either install the full Visual Studio 2010 or copy the file manually. I decided to chose the lesser evil of the two. We copied the file "Microsoft.WebApplication.targets" from my machine (located at path C:\Program Files (x86)\MSBuild\Microsoft\VisualStudio\v10.0\WebApplications on a Windows 7 64 Bit installation) onto the CI server (at the path C:\Program Files\MSBuild\Microsoft\VisualStudio\v10.0\WebApplications. CI server has Windows 2003 OS installed on it.) and then ran the build. Yep! It worked! The build went green on the CI server. I know, its just an hack, but for now I had no other option! The real trick is to redirect the path using that $(MSBuildExtensionsPath32) environment variable. By making that point to within the build script folder, you can get the .target file checked into source control as part of the build script. I used the same trick. Yeah, they need a basic installer for this. In our environment, I (and others) FORBID the installation of VS20xx on the build server. It installs way too many voodoo dependencies one doesn't know about.